Open the door to any church in America and you'll find once-enthusiastic Christians just going through the motions. Some have even abandoned the Body. Dan Schaeffer diagnoses this spiritual defection as a subtle heart issue: If our primary motivation for Christian service has become approval from others, we're on the road to faking church. Schaeffer deftly explores the common traps that seduce believers into becoming spiritual fakes and prescribes ways to adjust our fellowship and our lives so that the Holy Spirit can create in us a genuine servant's heart. 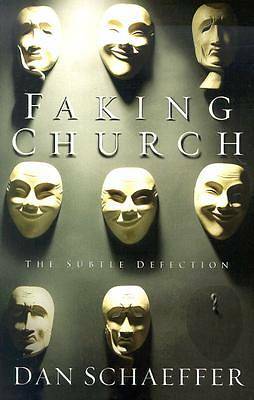 Timely and provocative, Faking Church has the power to transform the Body. Get real with God by cutting through soul-destroying distortions, and choose to serve for His approval only. This book can change you--and your church!